After staying at 3 different B&Bs, some of which are ranked on the top of the list, and visiting 10 more, I came running back to the Casa Colonial and only once I was there I felt like I had arrived in Oaxaca. 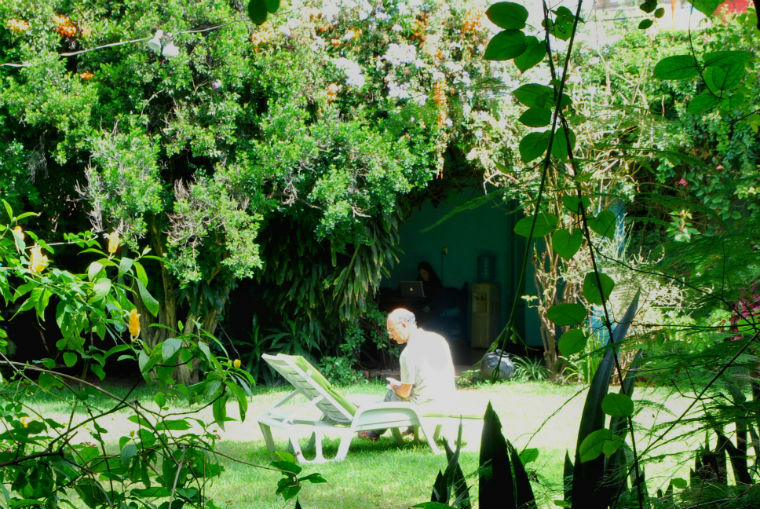 There is no other place in the historical center of Oaxaca, hotel or B&B, where you will find that much space for your use in a beautiful garden setting. All the rooms at the Casa Colonial are spotless clean and open to the garden or the large veranda, and none of them are stuffy or musty. All rooms have a small desk, but there is really no reason you would be confined to your room here, unless to sleep. Casa Colonial, recommended by friends who spent a month there, is not for tourists seeking hotels with big screen televisions and cocktail lounges. 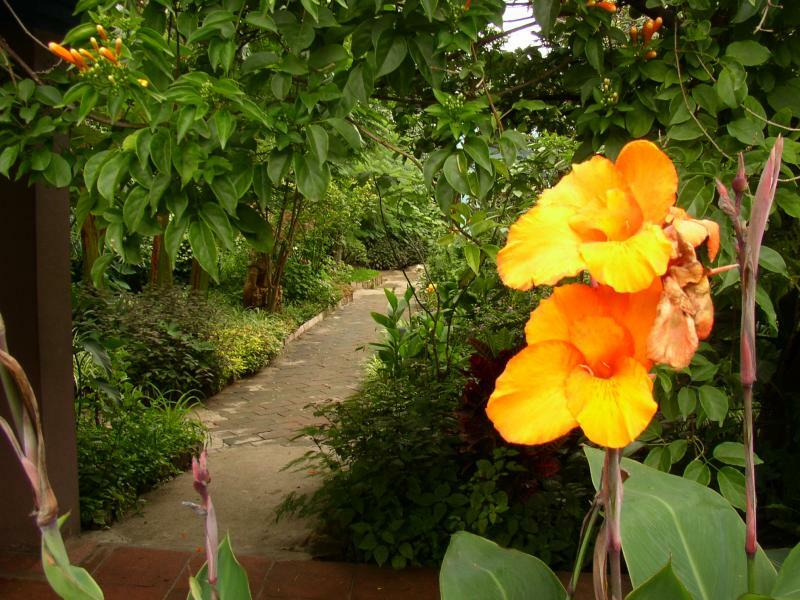 CC was essentially a large jungle-like garden ringed by modest but beautiful casitas and connected guest rooms, a lovely dining room and kitchen, library and classic terrazo walkways. Not fancy but well maintained and very clean, CC has a personable, cheerful and helpful staff. I can't imagine staying anywhere else next time we are in Oaxaca. See the Trip Advisor website for more Casa Colonial reviews! ﻿﻿I just returned from a week's stay at the Casa Colonial, a bed and breakfast that enhancing the magic of Oaxaca. The owners, Jane and Thorny Robison, willingly share their love and knowledge of their beautiful city from their beautiful, garden-filled hacienda. This was my second trip there and far from my last. My wife and I stayed for two weeks in the summer of 2006 in a wonderful place called Casa Colonial. The food and accomodations and service was all wonderful. I stayed here at this lovely oasis in the city of Oaxaca. The temperature inside seemed to be 10 degrees cooler because of the lush covering of greenery. 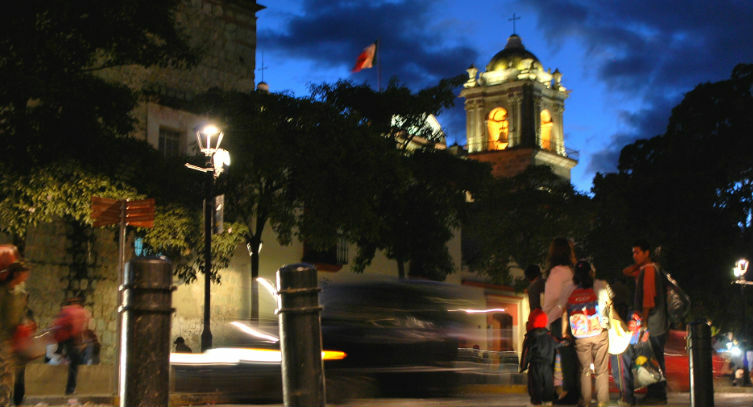 It is one of the oldest guest houses for travelers in Oaxaca. 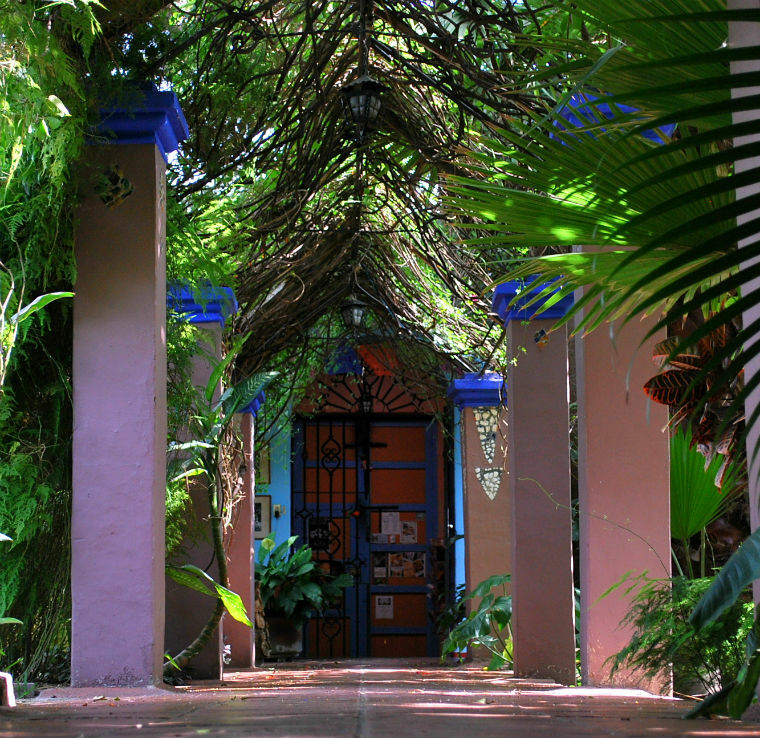 The owner is a collector of art and crafts and Casa Colonial is filled with beautiful objects. Casa Colonial, the bed and breakfast where we are staying, reveals little from the street. But oh, on the inside. There is a lush garden, cool arcades, brightly colored tiles, a library full of books and art—and even caged songbirds. Practically Eden. 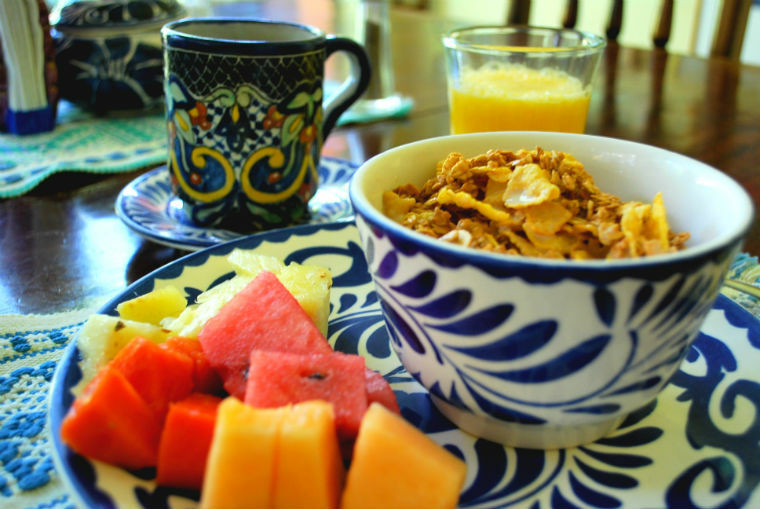 Casa Colonial is a proud member of the Oaxaca Bed & Breakfast Association. "Once inside, you immediately see why Casa Colonial is so popular. Rooms enfold a spacious, gracefully beautiful inner garden. 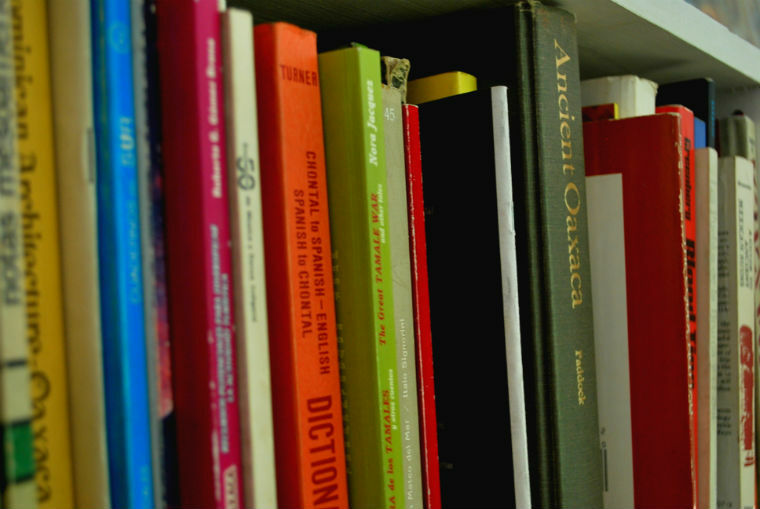 Besides all the leisurely tropical ambience guests enjoy the use of a spacious, refined but homey living room with shelves of books." "The casual and comfortable setting created by the attentive and gracious hosts of this B&B promptly sets you at ease. This is an especially attractive place for first-timers to Oaxaca. The good sized rooms open up to a large garden filled with tropical plants and flowers; they are simply but comfortably furnished". The Casa is a special place. Great for seasoned travellers who like to share experiences, don't care that there are no TVs or phones in the rooms, and prefer a casual, low-key and friendly environment. I travelled solo and hooked up with a variety of interesting people, including a designer, an archaeologist, a midwife, retired NGOs and a university professor. A bit out of town, I found its location fine.